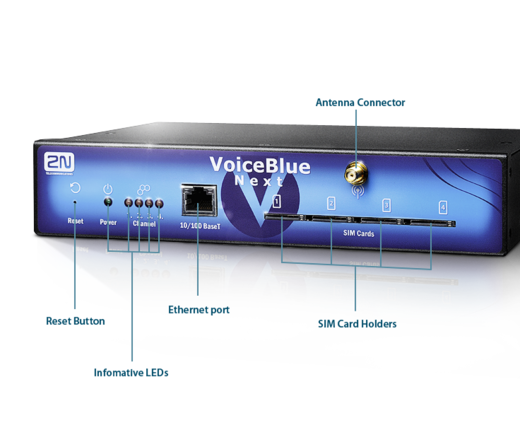 The 2N® VoiceBlue Next operates as a VoIP GSM gateway which can be connected to any IP PBX (Cisco, Alcatel, Siemens, Innovaphone, Asterisk, 3CX, Elastix etc.) and thus significantly reduces the cost of calls to GSM and UMTS networks. 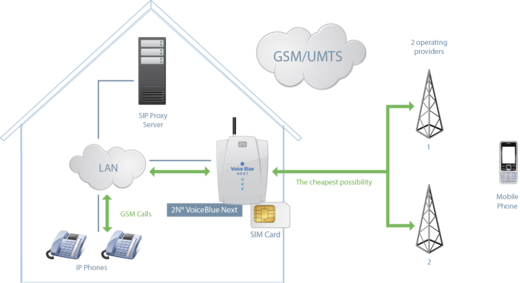 You can also use the advanced features integrated in the 2N® VoiceBlue Next, e.g. 2N® Mobility Extension, CallBack an SMS for unanswered calls. Copyright © 2008 NGN Solutions. All Rights Reserved.